Having a bad reputation on social media is worse than having no reputation at all, and the old adage that “all publicity is good publicity” really doesn’t hold true here. Social media is something of a strange animal – but if you can tame it and win its loyalty, social media will not only boost your brand and sales, but become self-perpetuating in terms of increasing your profile, getting people talking, and spreading the word. If you want to learn about the approaches and mistakes that alienate audiences on social media platforms – and how to avoid them – you’ve come to the right place. In this article (at the end) we also look at where social media is heading in 2018. However right now let’s look at our list of five sure-fire ways to alienate your prospects on social media, to help to keep you on the right track. All of the main and most popular social media platforms like Facebook, Twitter, LinkedIn, and Instagram allow you to sign up and populate your page with content, which should be designed to attract interest, get people talking, and spread the word about you. However, don’t view social media for your business blog or brand as a billboard where you can make statements or loudly proclaim your views and expect other people to get on board with them and support your goals – social media is a conversation, not a soapbox. Failing to engage with your audience and give them reasons to like, share, and comment on your posts, and treating your prospects as demographics rather than people, will soon turn your potential prospects off. Most people use social media to chill out, socialise, and play games or otherwise entertain themselves, and so taking a hard sell approach or continually spamming the channels that you use with pushy ads and intrusive content will soon cost you fans and followers. Whatever you are selling or promoting, social media success requires personalising your approach to suit the needs and moods of your audience, which means that promoting your brand or offers needs to be handled carefully. If you are trying to promote a business blog, remember that a softly, softly approach is the best way to catch your prospects’ interests and makes them want to find out more. Trolls and troublemakers are an unpleasant fact of online life, and every brand and most individual social media users will fall foul of an internet troll at some point. If someone starts causing trouble or speaking negatively about your brand on your own page or content, how you handle this will make all the difference to how your prospects perceive you. Defending your business is fine, but keep it calm, factual and mannerly – even if you’re not being afforded the same respect. Making a post or firing off a reply when you’re mad will almost certainly come back to bite you further down the line – and even if you delete your comment almost immediately, someone may have already screenshotted and saved it – you can’t un-ring the bell. Using posts, trending topics and comments to engage with your audience is one of the keys to social media success – and taking a personal approach to the people that take the time and make the effort to engage with you helps to build brand loyalty. However, being overly personal, nosy, or familiar with people who engage with you can turn your prospects off, and cause them to want to distance themselves from your brand, so keep it professional and avoid DM’ing your prospects or contacting them privately about things if a public response would be more appropriate. Finally, one of the most valuable things about social media for business is that if you tackle it the right way, your fans and prospects will do a lot of your work for you, in terms of spreading the word and raising your profile. Give something back from time to time too, in the form of promotions, giveaways and offers, which will not only further raise your profile, but also, reward your loyal fans and give them an incentive to stick with you. If you ignore your prospects or don’t appreciate the value of your fans and followers, they are likely to go off in search of a competitor who will! Social Media In 2018 – What’s Next? So where’s social media heading in 2018 you may ask? Without too much crystal ball gazing we know augmented reality (AR) will play a part. In this article it says it’s likely snapchat and instagram will add filters to support AR so selfies will take on a new purpose with celebs or friends projected into the image. Talking of images, the quality of photos and videos will be a huge focus for marketers especially for the very popular Instagram stories where content editing using filters occurs after the initial capture. Interestingly Instagram, Facebook and LinkedIn all have more followers than Twitter so there’s likely to be some big events happening as Twitter struggles to grow it’s position. A sale or change of focus or both are predicted for this platform. Live video group hangouts where friends can get together digitally will continue to grow as Generation Zers jump onto platforms like ‘HouseParty’ to socialise with their friends ‘live’. Umm just another reason for not having to leave the house! There’s also Facebook Spaces to consider too in 2018. Facebook owns a VR hardware and software company and as competition for eyeballs gets tighter look out for a virtual reality platform that is sure to also disrupt how we all do business. Exciting times ahead for business, and marketers using social media. There’s plenty of reasons to protect your brand reputation online and dedicate time and investment in your social media presence. How to Fix Social Media Mistakes That Can Harm Your Brand And Business? Whether you are an entrepreneur or a start-up owner, social media is one of the most indispensable marketing tools of all time. If you own a business then you must have a significant online presence to succeed. You can’t even think to flourish your business abundantly without a right approach to strategic social media marketing. Also, not all the social media tricks are worth enough. You need to follow some effective tips to fix the most common social media mistakes and that’s it, you are done. How can you fix the biggest social media hassles? When it comes to social media marketing then one of the biggest mistakes that marketers often do is focusing on only one channel. The biggest flaw in this approach seems to be your target audience might be more active on other social media platforms. So, your effort to save some of your bucks can end up losing potential customers. Hence, you need to do thorough market research to figure out in which platforms your clients are more active. Before going for the final channel preference, you need to engage in a discussion or survey with them to understand the real scenario. If marketers post the same content on various social media platforms then it divides marketers. Some of the marketers can be seen to approve this approach while others don’t do that. However, you must consider a couple of important aspects. The content that you are offering should not be specific for one social media channel. It means that suppose, if you are sharing the same post on Twitter and Facebook, you are doing that without any optimization. For instance, Twitter is all about posting the frequent updates. On the other hand, Facebook concentrates on less frequent and more personal posts. If you cross-post the same content then you will end up alienating a section of your audience. One of the biggest reasons why you should avoid posting the same content on all the social media platforms is that cross-posting from your end can be considered as laziness by your audience. The repetitive contents might lead your customers to unfollow you. Hence, to boost up the engagement level on social media, curate separate content for each platform while following the rules of each one of them. Consider A/B testing to be a major trick here for varying content that you post on various platforms. Of course, the purpose of social media platforms is to promote your business but if you post too much content then it can chase your followers away. Moreover, if you are leading a startup business, then you might begin your social media strategy with enthusiastic and aggressive content. Actually, this mustn’t be the condition. Rather, you should start with fun and engaging content that seems to be varied and not just about promotional chapters. It is always smart to not bombard them with sales promotions. They might otherwise unfollow or unlike your profiles. It is not only true for the startups. The same makes sense for established companies. It must be your responsibility to always value your customers and let them enjoy your content. Thus, you should make content marketing as your main focus. The social media channels for your business are to educate your audience and provide knowledge, information, and enjoyable content to them. When it comes to detailing negative comments on social media then it tends to be a pretty sensitive subject for the businesses. One wrong or abusive answer from your end can spoil your marketing strategy altogether. Howbeit, it is even not the right trick for marketers to ignore the negative comments. It might end up giving the impression that your customer service is not good enough. So, the best part here could be positively responding to those who are criticizing your brand. Although it is pretty tough to not take the negative reviews and comments about your company badly, especially when you have invested a lot in your business. But, you’ve to deal with it anyway. It is important to make sure that each and every reply that you are typing is very calm and polite. Replying publicly while being cool is the best way to assure your customers that you care about them. You must do that to boost up your social media marketing smartly. Like your overall business, the social media presence that you have must be a well-planned one. If you are not curating an organized social media strategy then it will impact business goals. Hence, you need to opt for a targeted social media strategy which can let you choose relevant platforms for connecting with existing and potential customers. Moreover, a yet another reason why you should create a rightful social media plan is that the majority of purchasing decisions are made on social media platforms nowadays. In fact, 46% of social media users look for products on social media channels before purchasing. Hence, make sure that you are having a proper social media strategy to receive insights into the role of social networks that they play in the buying process of customers. Aren’t these tricks seems to pretty effective? It’s easy to start with social media marketing but marketers often miss to take the right steps for getting the best out of it. Thus, it is recommended to keep the aforementioned tips in your mind and you will definitely end up with a highly beneficial social media marketing strategy for your business. The less you commit these common mistakes, the more your marketing strategy will skyrocket! Walk an extra mile, take these potent steps now, and that’s it! Instagram’s stories is often called the disappearing story feature, but don’t let the fact that it disappears after 24 hours fool you. Instagram stories is a great way to capture your digital target audience and avoid clogging up your carefully created Instagram profile with not so relative stories. Often your audience and followers may like to see what else is going on with your brand or get a sort of behind the scenes view of who they’re following, this is where Instagram stories must be a part of any social media marketing strategy. 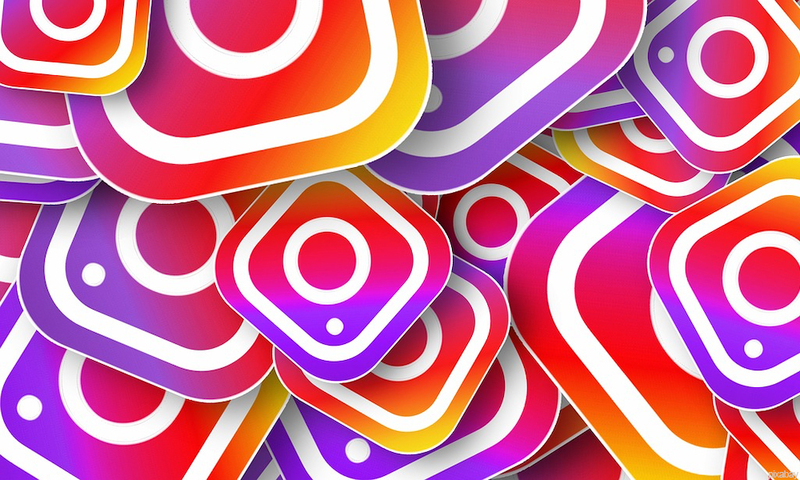 With an impression count of one billion daily active users, Instagram has certainly become one of the most important social media marketing tools. And the Instagram stories offers another cool way to engage your audience and create a lot of opportunities to gain more followers. To keep up to date with Instagram and other social media marketing trends it’s a great idea to complete a social media marketing course. So, what’s the difference between an Instagram post and an Instagram story? Which one is better? How do you know which approach to take for your social media marketing campaigns? The first thing you need to take into account when considering these questions is that get followers through your Instagram feed, in other words from posting on your profile page. 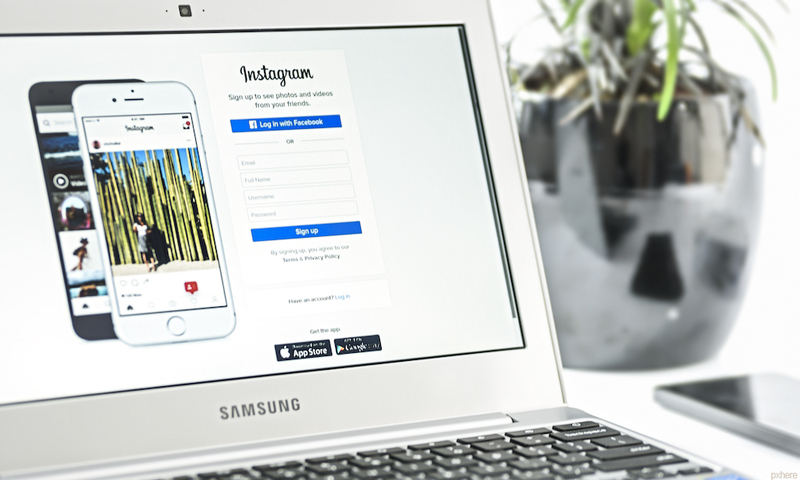 So, using the Instagram feed as a starting point is an important part of getting the most out of your digital marketing efforts on Instagram. In a nutshell, Instagram stories should be used to complement and not replace your Instagram feed. Instagram stories are an entertaining way to grab your audience’s attention, which should never be overlooked in your social media marketing campaigns. Instagram stories were launched in 2016 and since then have become a very popular part of social media marketing and definitely are a great tool to engage your audience. But as with every social media marketing strategy there are best practices and proven strategies that must be taken into account when building your Instagram stories platform. There are only two ways of adding your content to Instagram stories, which are via your profile page and the second way is by navigating to your main feed and clicking on the camera icon. A staggering amount of 500 million people use Instagram stories every day, that is mind-blowing. Another really encouraging fact is that one in five stories receives a direct message from their audience. Now that is a powerful engagement. Keep it short – Short and sweet is key yet valuable. Do include a strategic headline. Keep text to a minimum –Avoid cramming your Instagram story with too much text or subtitles which can quite easily ruin great content. Don’t come across over selling – Do not include excessive promotional text. Your story should be entertaining, and any selling point should be subtle. The absolute beauty of Instagram stories is the variety of content that can be used in your story, which brings endless possibilities to get your message across and engage your audience. You can now share videos, images, time-lapses, live streams and boomerangs. The world of social media marketing is always evolving – this trend is no different with Instagram stories and it can be a confusing when starting out which type of Instagram story to use. The main goal of your story is to cut through the ever-increasing noise on Instagram to not only build your audience but to increase valuable engagement with your followers. Below are a few Instagram stories to choose from, but with practice you’ll soon learn what works best for you and your brand. Simple colour background with added text. Add music to your image and you can even decide on the point you’d like your track to start. Going ‘live’ on Instagram stories has become a popular choice especially for events or launches of any kind. People love boomerangs, which is a setting that takes a burst of photos which loop to create a short animation. Superzoom allows you to create a funny or dramatic video clip. Stop-motion is a setting that allows you to create short animations. Do you know how many users are on social media networks? If you thought maybe a billion, think again. By the end of this year, there will be circa 2.77 billion social network users and it’s never too late to start your SMM. Businesses that have taken advantage of social media have seen their ROI (Return On Investment) improve by up to 119%. So here are our 10 top 101 SMM tips for businesses with no idea what to do and where to do it. Making the most of social media doesn’t mean your business needs to be on every single platform. Less is definitely more in this case. There are different social media platforms for a reason. Each of them has its own uses and benefits that work with a variety of businesses and industries. For example, really visual products and retail businesses work well on Instagram – because it’s designed as a photo sharing platform to sell through images. Similarly, LinkedIn is designed as a professional platform, which means it performs well with B2B businesses. Before you start planning your social media strategy, make sure your business is on the right platforms. This not only involves picking platforms that work well for your company but also knowing what your customers use and interact with. Think about it. Are your customers on Pinterest? No? Then you shouldn’t be either. It’s that simple. Done right, you’ll not only reach your customers but save yourself a lot of time and effort running social networks that you really don’t need to. This tip applies to your marketing as a whole, but can sometimes be forgotten when it comes to social media. To improve your performance and create content that your customers will interact with – you need to write to them. Don’t try and include everyone with general messages that miss the mark. Write to your customers and only your customers. These are the people who buy from your business. So what are you gaining from trying to target everyone else? Okay, so you’ve got your social profiles up and running. Don’t make the mistake of posting any old thing to stay active though. Every piece of content that you put out needs to be relevant to your business. For example, if you were a plumbing business – why would you post about landscape gardening? They have nothing to do with what you offer and more likely than not, aren’t something your target audience is interested in. Your content doesn’t just need to be relevant though, it needs to be consistent with your branding and provide value to your followers. Answer this simple question: what do your customers get out of following you? Once you know the answer to that, you’re on your way to providing top-quality content that your customers will engage with. Got an important piece of news? At an event? Or just have something good happen around the office? Let your followers know about it! Social media are the exact channels to share this piece of information. 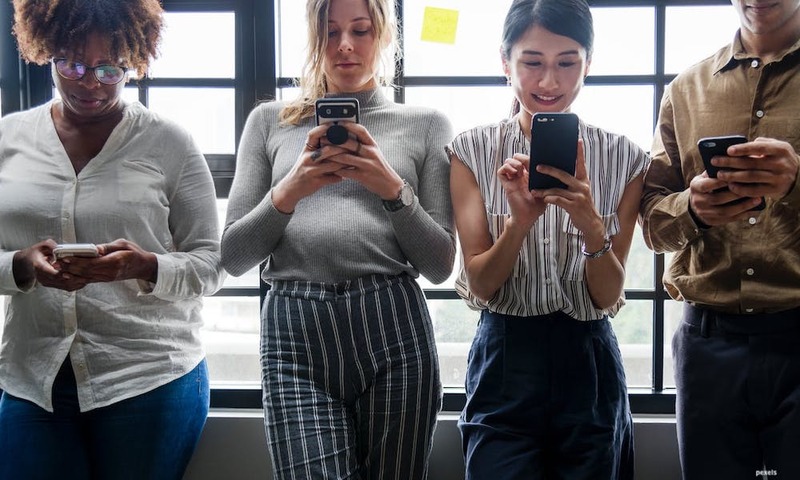 If you’re attending an event, posting updates won’t just help drive people to meet your business – it will also help you connect with everyone else who was there. Whatever it is, don’t forget to share it. Even if it’s something as mundane as your employees treating themselves to doughnuts in the office. It may seem like a small thing, but it actually helps humanise your business and give your customers a glimpse into the real faces behind the company. This is amazing for building trust and a relationship between you and your customers. In turn, this will help reinforce their loyalty and return custom. Want the most engagement and get the best results from your social media? There’s a simple solution – make sure you post when people are most active, online and likey to see and engage with your content. Most importantly: post when your customers are online. You can find out the best times to post on social media and increase engagement by following the guidelines. Hashtags are a searchable and clickable way for users to find content on a particular topic or area. When used correctly, they’re a great way for new users to find and interact with your brand. But be warned: not every platform uses hashtags in the same way. Twitter. 1-2 hashtags per tweet. Instagram. 9-11 hashtags per post. Facebook. Hashtags are rarely followed and used in on this platform – and should be avoided unless you’re promoting a specific event or occasion. Remember to select your hashtags carefully. You don’t want to appear in non-relevant searches or get a spammy reputation for constantly taking up a particular hashtag. This is particularly true when using Instagram, as if you use the same hashtags, in the same order, for all your posts – Instagram will shadow ban your business. This means they’ll prevent your business from appearing in these searches, without telling your business. You don’t have to waste hours manually sending out your updates and posting on social media. There are countless tools out there that will allow you to schedule posts, monitor and track your results and keep on top of all your engagements and replies. Ready to save your social team time and effort? Sign up to platforms like SproutSocial, Buffer or Hootsuite today. Social media is a great marketing tool that connects you with countless potential customers. However, one of the biggest problems is the sheer amount of people and businesses that are on here. They provide a constant stream of noise – giving you added competition just to get seen and noticed by your followers. Luckily, there is a way to cut through that noise. Welcome to social media advertising. Paid advertising on social is a way of ensuring that your content doesn’t get lost amongst a sea of voices. It guarantees that your business is seen – giving you a better ROI and the results you need. If you want to make the most from social media advertising, remarketing ads are one of the best tools you can use to boost your ROI. Because you’re advertising to people who already know about your brand. To people who’ve already got an interest in your products or services. To people who have already started to develop trust in your brand. Ultimately, you’re advertising to people who are more likely to buy. Whatever you do on social media, remember to track and monitor your results. This doesn’t just apply to your paid posts, but to your organic posts as well. Look what works and what doesn’t work and learn from it. Get a lot of traffic when you post a certain type of content? Great! Use this to your advantage and build a strategy that works for your business. Only use social media platforms that work for your business. Keep it relevant, on-topic and valuable for your customers. Talk to your customers and post when they’re online. Use advertising to cut through the noise and ensure your business is seen. Monitor your results and use it to better your campaigns. Follow them, and you’ll be on your way to social media success. Instagram started off as a simple photo and video sharing platform just for fun. It has since grown to a serious marketing platform turning little know individuals to celebrities called influencers. Influencers are Instagram users that have a significant following that well-known brands crave to have them mention their products on their pages. Influencers can be just normal people with a massive following or celebrities like soccer players or movie stars. You can now make money simply by documenting your daily life activities. There is a whopping 2.38 billion budget for this particular sector. Getting a massive following is not that easy, but it is possible if you are patient and persistent. While some opt to use bots such Instagress clones to get a following, it would be better if you start from scratch and build up a loyal following that will be participating actively in your campaigns. It is better to have a small engaging following than a large dormant one. Here are some hacks you can use to grow your following and become an influencer. Becoming an influencer is not as difficult as you would like to imagine. It is true that a while ago brands went only for those with a massive following. Today, there is a new category of micro-influencers. Most companies have realized that it is easier and cheaper to work with individuals with a small but an engaging following. You can start pitching to have brands pay you to market their brands even with just 1000 followers. So, focus on creating an attractive account rather than buying followers. If you want popular brands to come for you, try and focus on one field when curating your account. This allows you to build an authentic account that companies can have confidence in. Lay a foundation of your brand by engaging and posting about things that you have a passion for. If you love traveling, then let the world see your escapades from your images, captions, and videos. You grow a more loyal following if people are able to identify with what you do. The key to growing a following that will make you an influencer is posting quality content on a regular basis. People will check your account and make a decision to follow you if they have something they can see on your account. If you have decided that fitness and health is your path to influencer marketing, then let people see what it is you can offer in that particular field. Try and stay true and passionate about your cause to maintain and grow a loyal following. You do not need to fake anything. As I mentioned earlier on, these days, brands focus on micro-influencers that have a stronger and more active reach to their followers. Brands know that it is easier for such influencers to convince their followers to try certain products due to their direct reach than those with a massive following without active engagement. So, make sure you actively engage your following by participating in their conversations, and responding to questions and suggestions. Identify other influencers that share the same passion as you and work with them. Make sure you do a background search of those influencers to ascertain their credibility. Some are just individuals with no passion and with so much fake following. Such would be detrimental to your work rather than boost you. But, if you find authentic influencers, then they can guide you on even getting your first gig. Instagram users like to relate with real and authentic people. If you come off as perfect with everything set in place, individuals might be scared of you and feel intimidated by your lifestyle. Try to connect to people with small and simple activities and make people feel like they are a part of what you are doing. With your account set and your brand taking shape, and having built a loyal and engaging following, you now have to reach out to varies companies to monetize your brand. Again, do not focus on the money, but on letting the product you will be promoting known and used by your followers. Send direct messages to companies requesting to work with them. It is good if try out companies whose products you already use. Your Twitter is failing, if you don’t have a strategy and strong brand image behind it. That’s where your Twitter voice comes in. It’s the strategy and tone that should flow easily through your entire profile. Want to know how to find yours? Read on below. What Is a Twitter Brand? To define what a Twitter brand is, let’s look at someone who’s rocking their own unique one. That brand…Wendy’s. The other-wise and previously non-opinionated chain makes a splash on Twitter. No one was expecting them to “come after” other burger chains or even individual users like they do. It made a lot of people not only laugh but respect Wendy’s more. And due to the way they conduct themselves on Twitter, we know Wendy’s doesn’t mess around with sub-par ingredients and practices. Like the time they tweeted about using never frozen beef, unlike other big chains. A twitter user (who has since deactivated their account) tweeted them back saying that was impossible. Wendy’s fired back a tweet saying something like “don’t blame us because you forgot refrigerators exist”. A harmless comment in the long run, but it got the point across. We could write a whole article about Wendy’s tweets, but we’ll leave you with one more before we move on. “@Mr_Anderson36 In our cheeseburgers and on our timeline”. In case you’re behind on the times, beef is another term for a drama or disagreement. Not into the catty stuff? Smart Circle tweets are inspiring, instead. First thing first, you need to understand yourself as a brand. What’s your image? What’s your brand definition? What’s your mission? If you are or you work at a well-established business, this is probably all wrapped up in your past work. That means the about page where your mission statement and purpose are, but also the tone in past articles and publications. Even your Instagram captions define and describe your brand. So if you can’t write out who your brand is and describe it in three ways, do some research. That’s step one. Wendy’s is lucky in that they have a pretty wide audience. They know that they’re the “one” different competitor between McDonald’s and Burger King. At least that’s how they’ve always marketed themselves. And they know that their followers see them that way too. If they didn’t, they’d go to one of the other chains instead of Wendy’s. So it was easy for Wendy’s to know that poking fun at the other brands would go over well, as a marketing tactic. But you may not have that clear cut of an audience and there’s no one secret to finding out what they like. Okay, there is – research and hard work. Check out your current followers and audience. Who do they follow? Who do they retweet? What tone are those tweets? That’s where you should aim to meet them (where they already are). Wendy’s doesn’t always tweet mean things, but if you look through their Twitter, you can definitely see their attitude. You don’t have to be catty or clever all the time but sprinkle those tweets through. You want people to expect that from you. Deliver it more than or at fifty percent of the time. Follow these steps and you’ll find your Twitter voice. It’ll take research and practice, but you’ll come off as and be more authentic along the way. Want to know that we practice what we preach? Follow us on Twitter. How Social Media Can Influence Buying Decisions? Social media started out as an online platform for people to share personal photos and communicate with others. However, it has systemically evolved to become the holy grail of marketing. Recent research reveals that social media is playing a major role on influencing buying decisions. This means that it’s about time that companies start paying more attention to their social strategy. It’s unfortunate to see companies diving into social media marketing without any clear strategy. These firms only end up with disappointment. There’s strong evidence that shows that if social media is approached correctly, it can influence people’s buying decisions. But, how does social media influence buying decisions? Buyers are influenced by emotions. People make buying decisions using both the right and left regions of the brain. They aren’t robots, so it’s highly unlikely that they’ll make decisions based only on analytical and logical basis. Think about when you’re buying a smartphone. You may have seen a photo of a cell phone on a social media post by the company selling it and then rationalized your buying decisions by checking its specs. This can happen with anyone. Indeed, many people who purchase something say that they landed on it and had not thought about buying something like it. The reason is that emotions can sometimes affect our decisions and we can end up buying something we hadn’t planned. Sales representatives usually find it hard to convince people to buy. That’s because we’re naturally suspicious. Strong emphasis must be placed on establishing trust and credibility with customers before one can pitch their idea. In this regard, social media is extremely effective as people trust a product when they see that their family or friend have bought the same. They’re influenced by people they can trust. People feel safer to move in large groups. That’s because human beings generally have crowd mentality. Thus, it’s easier to sway people when they’re in group. That is one of the reasons social media is so powerful in influencing buying decisions. People will be convinced to buy something if they see their peers purchasing the same. All a company has to do is show them how their friends and peers have benefited from the same product. Thus, positive customer reviews are extremely important for social media marketing. These are just a few of the ways in which social media influences people’s buying decisions. If you’re looking to promote your product or service, you should consider using social media as it has the ability to reach potential customers and influence their purchase decision.